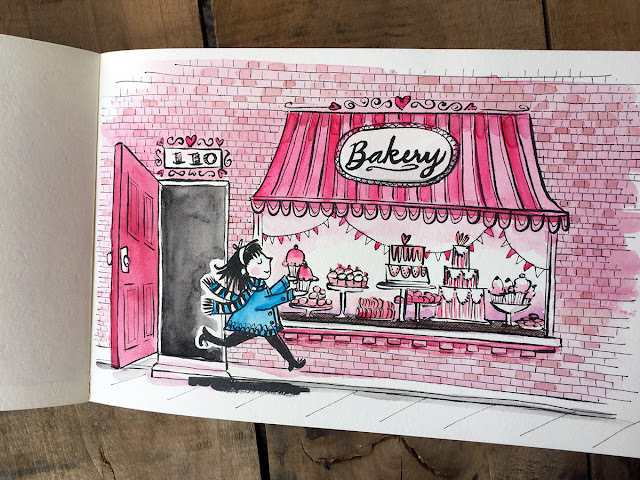 Today we feature illustrator and picture book author, Lori Richmond. 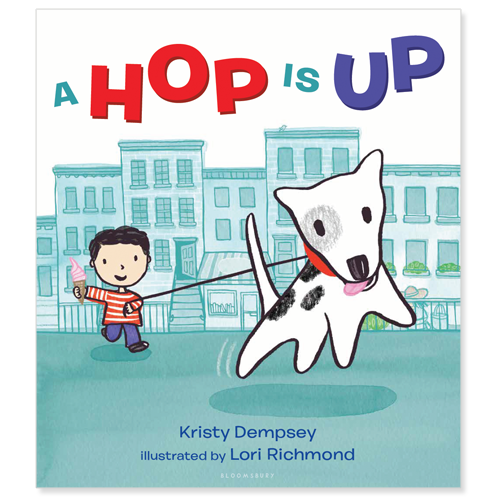 Be sure to enter to win a copy of her new book, A HOP IS UP, written by Kristy Dempsey (Bloomsbury)! I was a corporate creative director at various media companies for over 20 years. Most recently, I was working in digital product to develop websites and apps. The tech industry moves VERY quickly, but I began to feel restless because I missed creating something with longevity. Websites and apps change constantly. So, I turned back to my fine art roots in my "spare time,” which is kind of a joke when you’re a full-time working mom of two small kids! I took continuing education classes after work and developed book ideas late at night, from around 10 pm through 1 am. I just fell in love with the process. Creating books was something I knew I HAD to do. It’s different than wanting to do it, so it really did become more important than sleep. After signing my first two deals, I decided to chase the rainbow and left my full-time job to be full-time freelance, and now I am working on design projects and my books. It’s been extremely fulfilling to be on my own, but also scary! Congrats on A HOP IS UP! Tell us about the book and what inspired it. A HOP IS UP (Bloomsbury) is a picture book poem about all sorts of movements, written by the wonderful Kristy Dempsey. 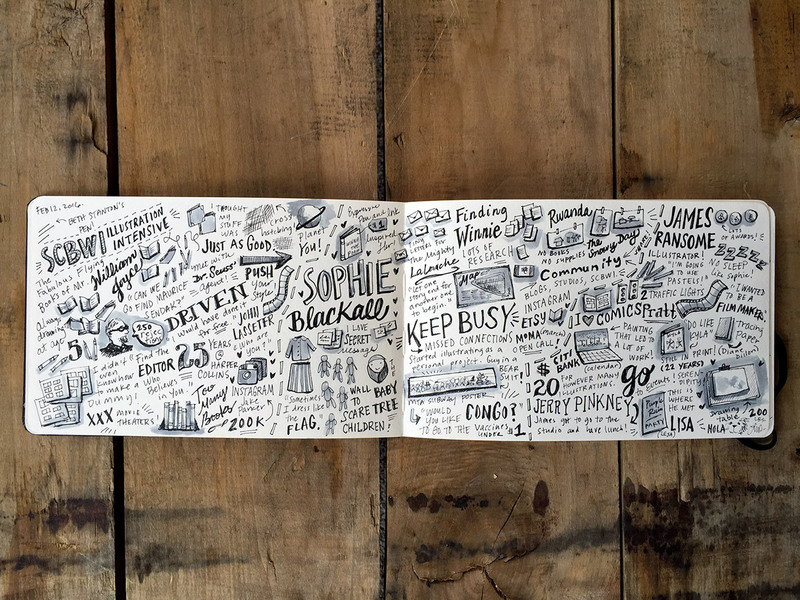 The text was a blank canvas and a wonderful challenge for me as the illustrator—without any characters, setting, or traditional story arc mentioned in the words, I got to create the entire visual narrative from scratch! Because Kristy’s text flows so beautifully from one line to the next when read aloud, I wanted the illustrations to do the same. 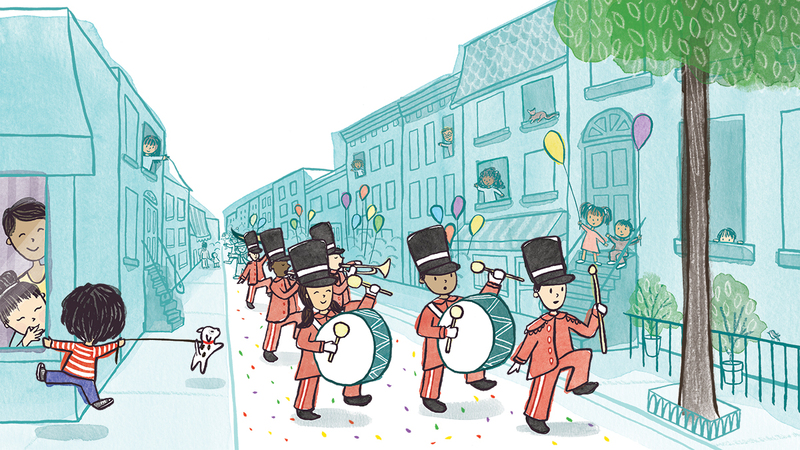 If you look carefully, each spread hints at what is coming next to create a continuous visual story. 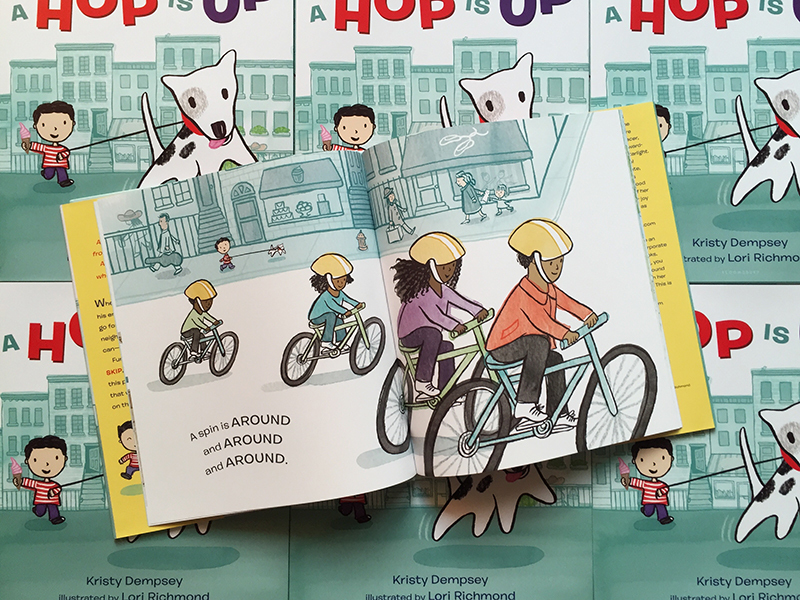 The text starts and ends with “A hop is up,” so the art begins with the boy and dog leaving home, and ends with them arriving back home. There is also a gardener and her cat that we meet in the beginning, and they make a surprising return near the end. 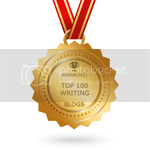 Was your journey to publication long and arduous, short and fortuitous, or something in between? 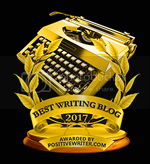 Despite my long professional career, my journey to publication was short, and that is due to hard work and an amazing support system of wonderful people. 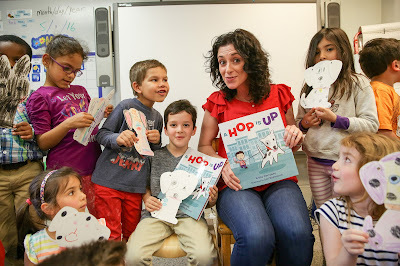 My instructor at a children’s book workshop at the Highlights Foundation, Pat Cummings, saw promise in my work and forwarded it to Paula Wiseman, my now-editor at Simon & Schuster who offered me my first contract. My dear friend Lauren Castillo is the one who connected me to my amazing agent, Lori Kilkelly. 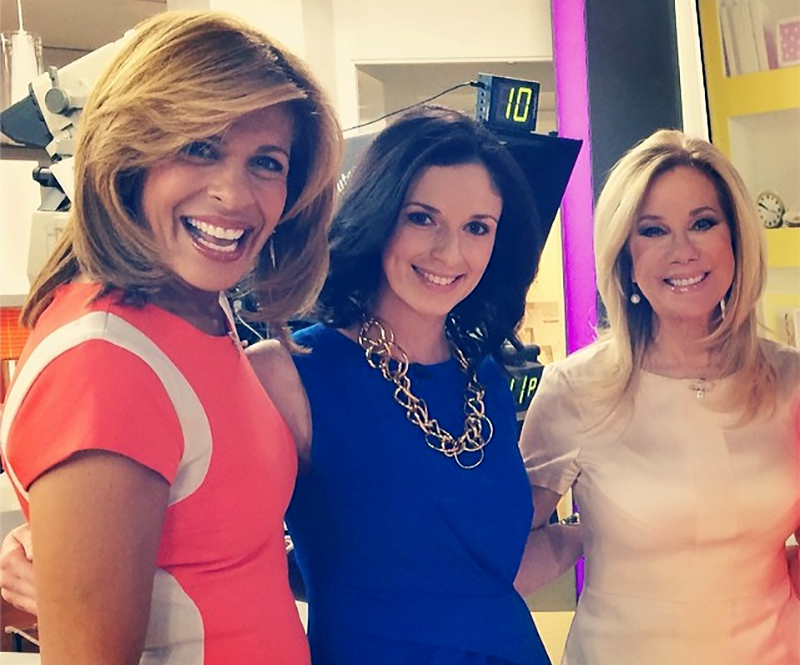 I couldn’t have achieved so much so quickly without Lori K's guidance. I always set time aside to help people also just breaking into the industry. You never know how your knowledge may make a difference to someone. I’m so grateful for the kindness and support I received, and now I pay it forward. You have a couple of solo PBs coming up. Congratulations! 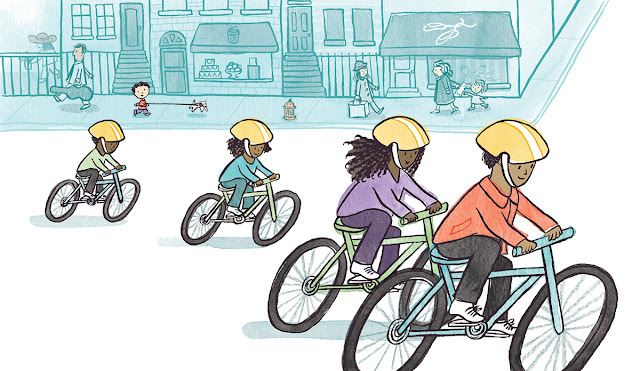 Do you find it harder or easier to illustrate your own stories? Thank you! I find writing to be a challenge. It doesn’t come as naturally to me as drawing. I find that I have a lot of ideas, but turning them into narratives is something I really have to work at. 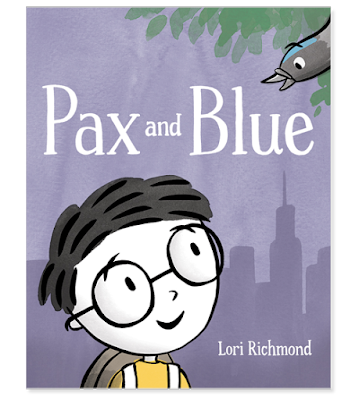 PAX AND BLUE (Simon & Schuster, February 7, 2017) is a gentle story that was inspired by a true story my son told me about a lost bird who wandered on to a subway car. BUNNY’S STAYCATION (Scholastic, 2017) is about Bunny, who attempts to foil his Mama’s business trip, and creates his own adventure instead. My husband is always on the road for work, and I’m home with the boys — but I’ve also been the parent who has to travel. Neither situation is easy on the children or the parents. I hope this book is helpful to families, and I can’t wait to share! During the school year, I take my boys to school first thing in the morning. I’m extremely fortunate that my studio is only about a mile and a half away, so I walk there afterwards and am at my desk by around 8:45 am. I try to start every day with 30-60 minutes of “ideation time.” This could mean working on a story idea, or just drawing… the only rule I’ve set for myself is that it can’t be anything related to a current project. After that first hour, I check my to-do list (I like the app Todoist, because it is always at the ready in my browser) and get started working! I usually break for lunch midday, and then work until about 6:15. Then I head home so my babysitter can leave. She picks up my boys from school and watches them through the late afternoon until I get home — having a sitter’s help is the only way I can work a full day. In addition to PAX AND BLUE and BUNNY’S STAYCATION, I am working on illustrations for SKELLY’S HALLOWEEN written by David Martin (Macmillan/Henry Holt) and another yet-to-be-announced picture book project I am really excited about! There will also be another BUNNY book in the series with Scholastic. Don't think you're settling for something less if you take a "normal" job. Use the skills you learn and apply to your own work. Working in a traditional job in an office environment for the first part of my career gave me an excellent foundation. Because I have been the one hiring designers/illustrators and needing to keep a project on time and on budget, I have empathy for the publisher side, and that helps in the collaborative process. Working in a regular job also taught me about time management, organizational skills, and how to communicate professionally — all things you must be a pro at when working for yourself. It also gave me a good financial foundation on which to begin my own business. 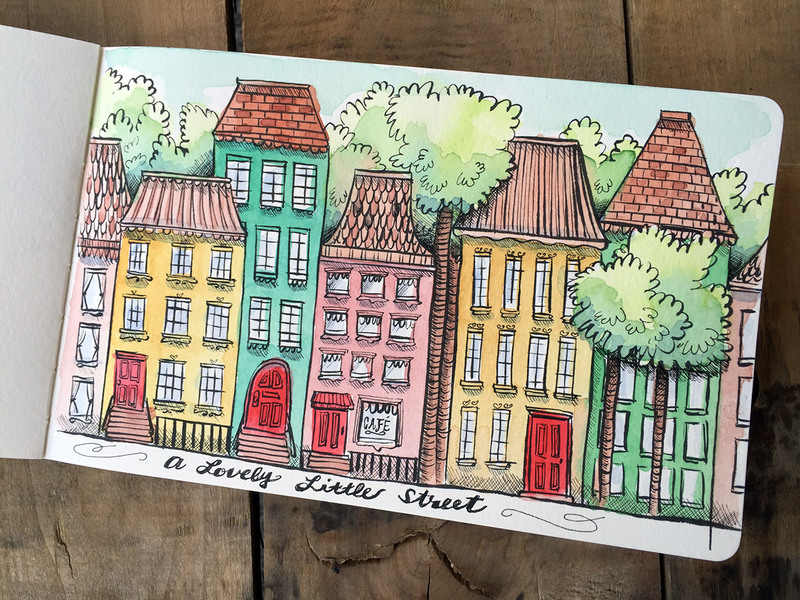 My website is at LoriDraws.com, and I’m on Twitter as @loririchmond and Instagram as @ldm1025. I’d love to connect! Lori Richmond is writing and illustrating several books for children. Her authorial debut, PAX AND BLUE (Simon & Schuster/Paula Wiseman Books) is coming in February 2017. Lori is also author-illustrator of the forthcoming BUNNY'S STAYCATION (Scholastic) and illustrator of two more books coming in 2018, including SKELLY'S HALLOWEEN (Macmillan/Henry Holt.) She lives and creates in Brooklyn, NY. 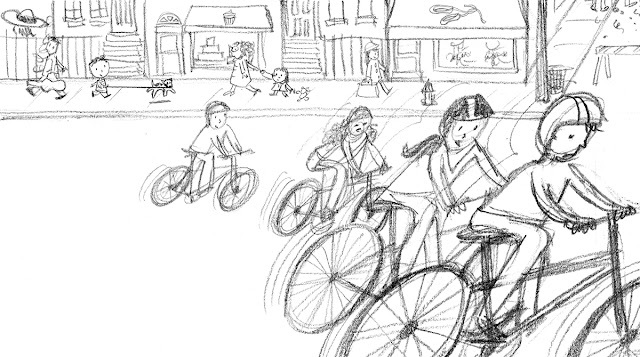 i love how you see the bright side of working a day job and can apply it towards your business as a writer/illustrator. Thanks for sharing and congrats on your success! Hi Danielle! The bright side is that you are giving yourself a steady paycheck! Book income is NOT steady - the least steady!! My design work helps give me a more regular income. I am all about the "regular job." Wear it proud! Good luck to you! Excellent post. Thank you for the scheduling hints and congrats on your success. Thanks for sharing your work schedule. That's a great idea to set aside ideation time every morning. Thanks, Abi! The ideation time is fun and also helps warm up my brain. Try it! Lovely artwork & very much enjoyed reading how you made the transition from employee to author/illustrator entrepreneur. Thank you! I loved reading about Lori's background. Very interesting! Thanks for sharing! I hope to one day be able to transition to full-time writer, also!